Thirteen years ago, the power-mad General Zhong seized control of Planet Bana and tore it to pieces in the process. Now splintered into hundreds of shards, Zhong is Bana’s evil overlord, ruling with an iron fist. 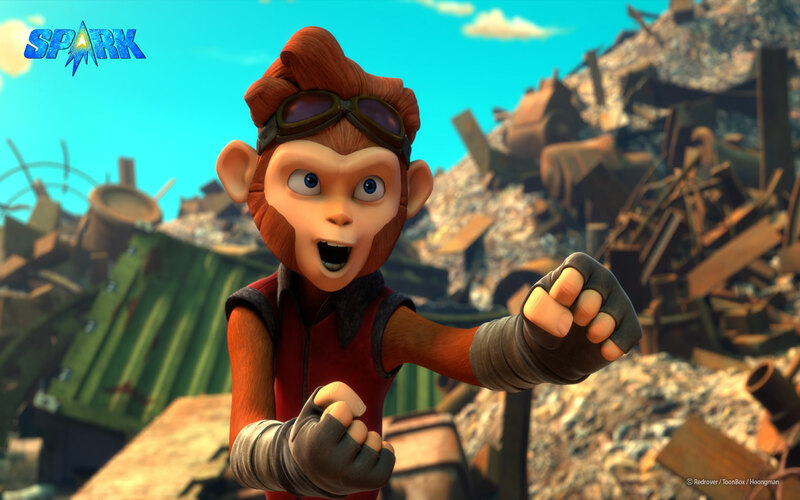 Enter Spark, a teenage monkey and his friends, Vix, a battle-ready fox, and Chunk, a tech-savvy pig. Spark learns of Zhong’s secret plan to take over the universe by capturing a giant space monster known as the Kraken – a beast that has the power to create black holes. If Zhong manages to harness the Kraken’s power, he’ll have history’s deadliest weapon at his fingertips, and it’s up to Spark and his friends to stop him. Spark’s journey takes him to the farthest reaches of the universe, where he encounters great dangers and discovers the secret of his true identity. An action-packed space adventure full of humor and heart, Spark is the story of a boy who takes on great responsibility, and in the process, discovers his rightful place in the universe.